Toyota Financing in Rochester, NH - Should You Lease Your Next Car? 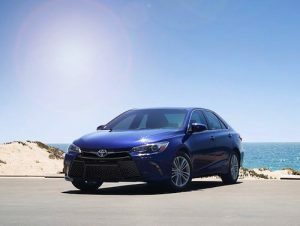 Toyota Financing in Rochester, NH – Should You Lease Your Next Car? In most cases, people who lease a new Toyota are able to get more car for less money. While a car loan is based on the full price of a new car, a lease is based on a percentage of the car’s price. With a lease, you pay only the difference between the car’s price and what it’s expected to be worth at the end of the lease. Leases also require a smaller down payment and are sometimes offered with $0 money down. However, the lower the initial payment the higher the monthly car payment will be. A typical lease lasts about three years and is available to customers with good credit. Once a lease is up, you have the option to buy the car, lease another car or simply walk away. This makes leasing perfect for people who like to drive the newest models with the latest high-tech features. Bumper to bumper manufacturer warranties usually cover the first three years of a vehicle’s life which keeps auto service costs down. Although leased vehicles must be maintained per manufacturer recommendations for oil changes, tune ups and tire rotations and no vehicle alterations beyond required maintenance can be made. So you won’t be able to tint your windows or add a new set of rims to your leased vehicle. Leasing is great for customers who don’t drive extensive distances. Lease contracts do have limits on the number of miles you can drive, usually between 9000 and 15,000 miles a year, with a per mile fee at the end of the lease, if the limit has been exceeded. However, for around town driving and occasional road trips these restrictions are usually not much of an issue. If you would like to learn more about leasing a new Toyota in Rochester, New Hampshire, please Contact Us. We are on standby to answer your auto financing questions.